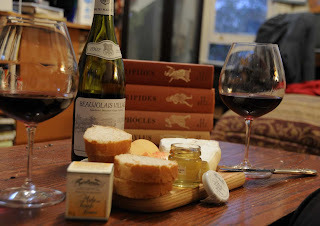 In the spirit of living well, my girlfriend and I experimented with two unknowns: The Wine House wine shop and TartufLanghe's Acacia white truffle infused honey. The Wine House, for all you San Franciscans, is a warehouse of fine wine on 16th Street and Carolina. Focusing on French wines (but not exclusively), their wines are stocked by region and vary from four dollar bottles to 300 plus. While my mouth watered over the expansive selection and the great descriptions offered by the friendly staff, I decided to go for a bargain: a 2002 Beaujolais for $5.95. I assumed the price was so reasonable due to the age; Beaujolais, for the most part, is designed to be drank young. I hoped that The Wine House would not sell a bottle they didn’t believe in. The truffle-honey was directly imported from Italy by a friend who had just returned. Bearing gifts, she said that it was to die for and she was right. A relatively new concoction from the Lanhge region, the small jar contains a powerful white truffle aroma that will have any devotee seeing double. We decided to try it on brie with baguette and a few slices of apple; a blue cheese would have been decidedly too strong for the truffle. Opening the Beaujolais, I noticed a build up of tirates on the cork; not always, but sometimes indicative of a wine gone bad. Tiratric acid is the most prevalent acid in wine and sometimes crystallizes to form this sediment. 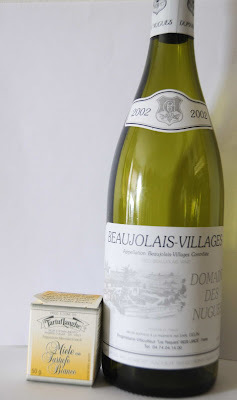 Once poured, the wine’s color was noticeably darker than I expected, which is sometimes characteristic for the region in which this particular Beaujolais was produced: Beaujolais Villages, the northern half of the Beaujolais region. 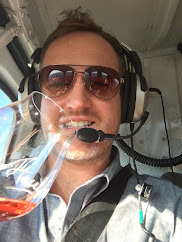 I also discovered more sediment in the glass, and, unfortunately, I’d read that sediment is a bad sign for Beaujolais, as it is with Pinot Noir. However, this wasn’t the case! The wine was delicious; nicely light with oaky hints that kept it interesting. (If you’re in the Bay, several bottles were still available at The Wine House as of 8/16/08, and white truffle infused honey is available online). 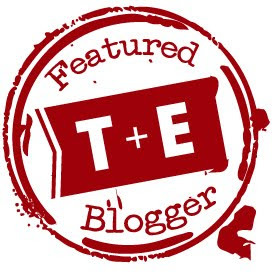 Thanks for checking out my first blog post. Please email me with any questions!